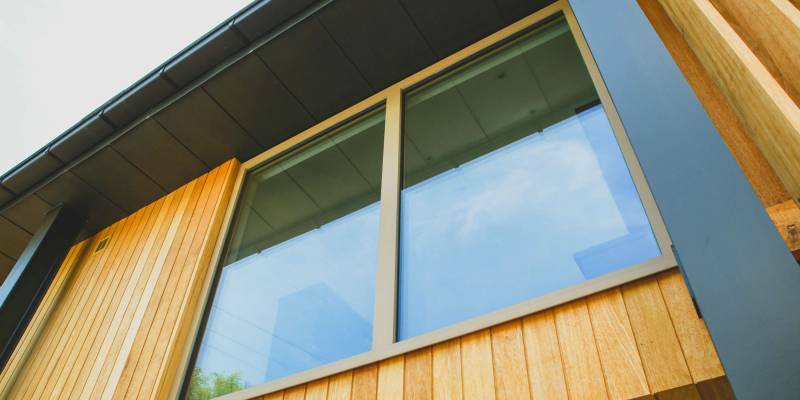 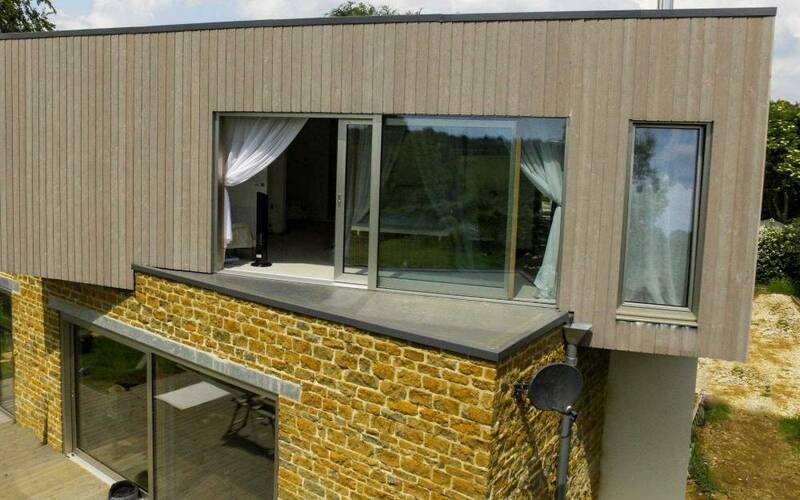 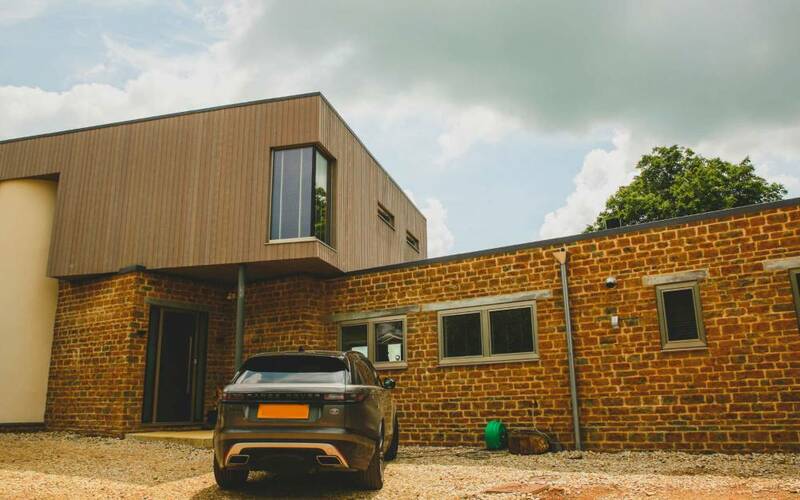 Our customer was building a modern, thermally efficient house and wanted windows and doors which would bring the house inline with Passive House status. 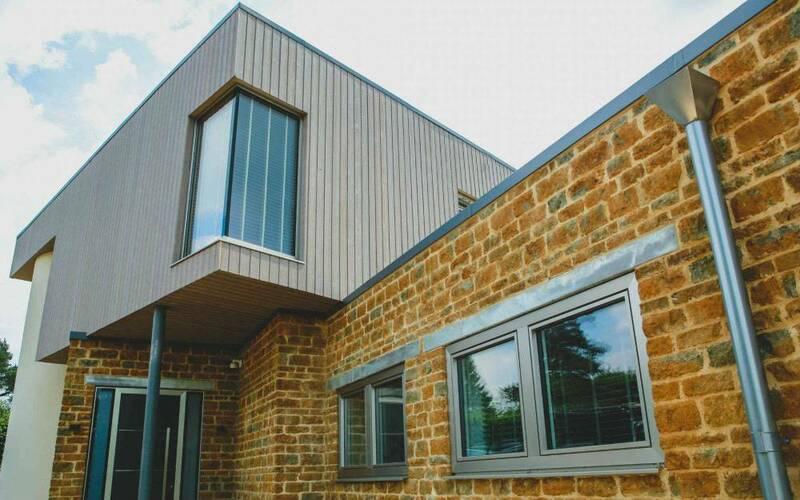 After researching many window brands, they visited Cherwell Windows Banbury showroom to see our wide range of products and experience the Internorm windows for themselves. 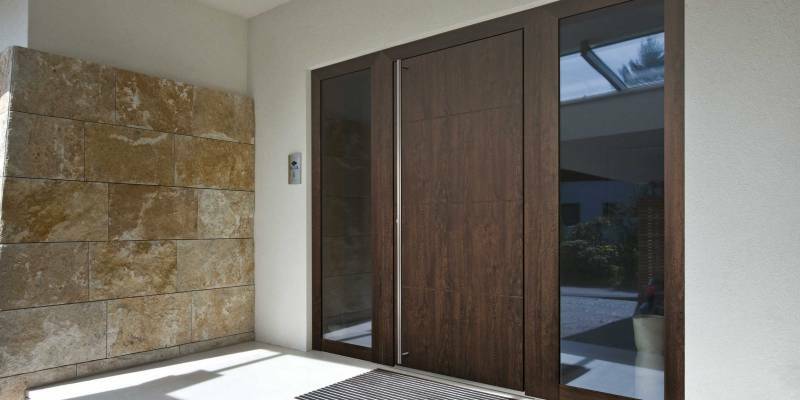 They could immediately see the benefits of installing these Austrian made products as their build quality is second to none. 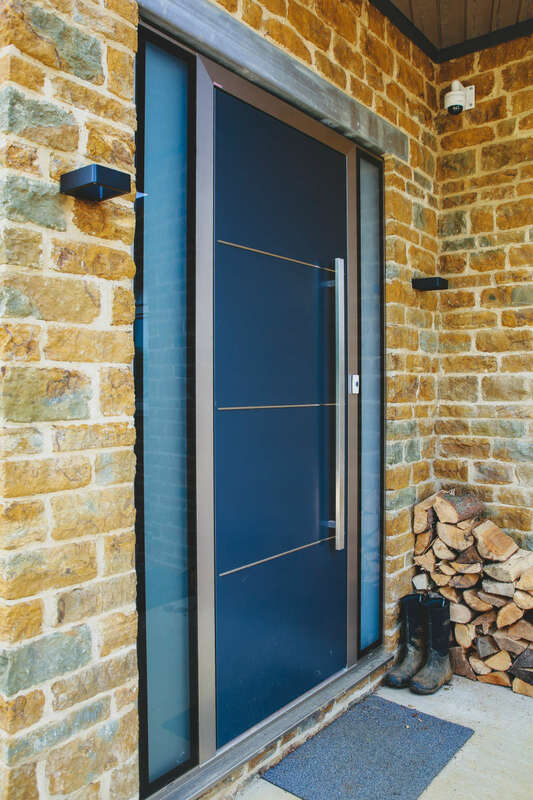 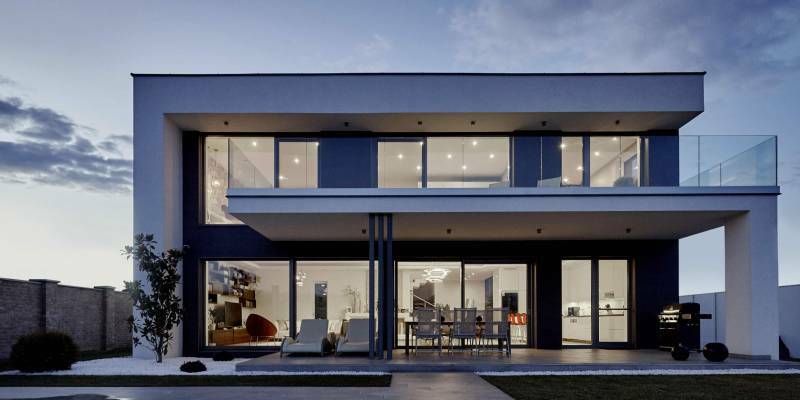 Each high performance Internorm window and door is built to an incredible high standard. 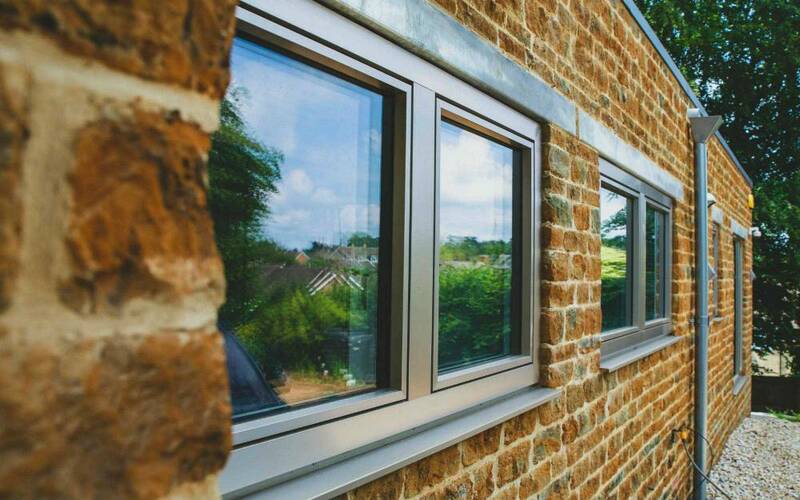 They can be built with U values as low as 0.6 making them one of the best performing windows on the market. 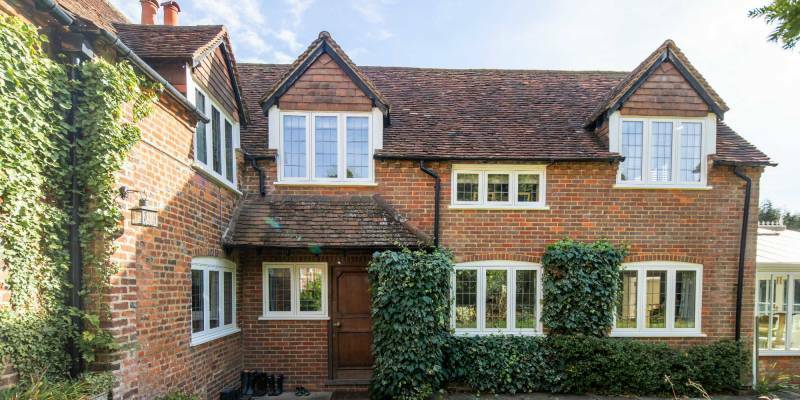 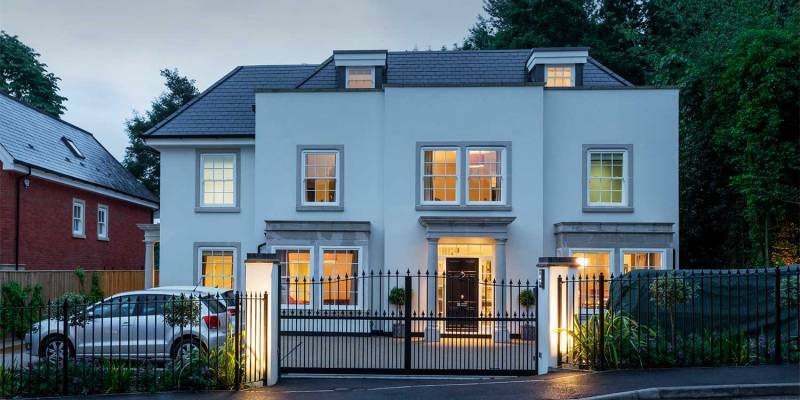 Cherwell’s knowledge and experience of installing premium energy efficient windows and doors made them the perfect choice. 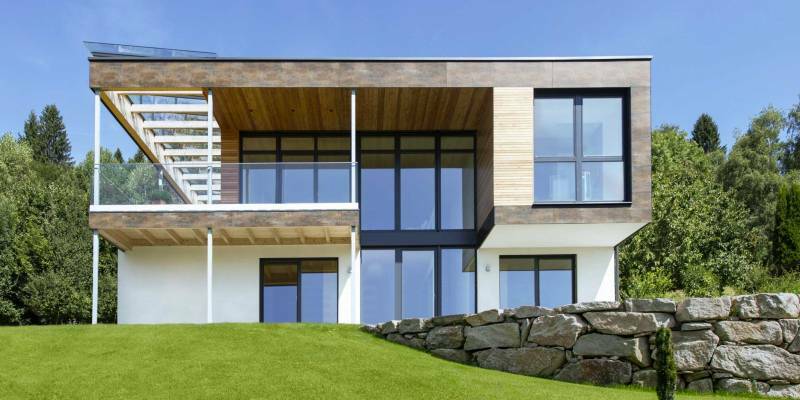 Their design concept was to use as many large panes of glass as possible, coupled with large sliding doors which make this a modern take on a traditional barn. 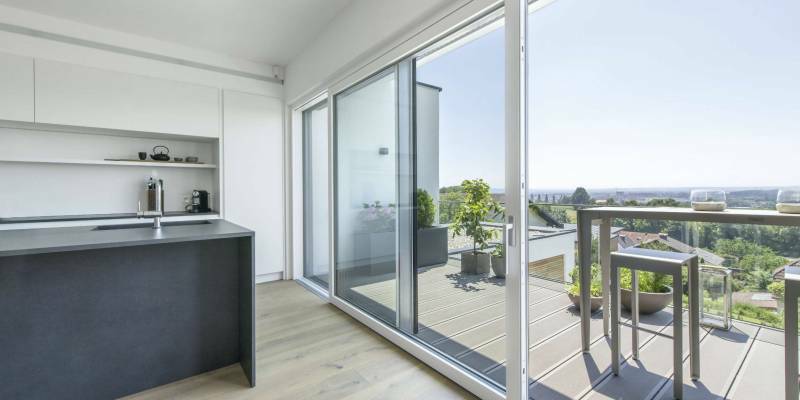 One of the most interesting features of the house is the HS330 sliding door on the second floor that opens up the bedroom to the roof terrace and makes it seem like one space.